Yesterday, in what seems as if it was just the latest in a series of umpteen such efforts in the national news media in recent years, the New York Times published an article that attempted to describe the sharply divided politics of 21st Century North Carolina. The article (“North Carolina, in Political Flux, Battles for Its Identity”) was part of a series entitled “States in Play” that the Times is featuring in the run-up to the 2014 election. Though the article is certainly a fine read and chock-full of helpful information (especially for non-North Carolinians) there are also some somewhat misleading traps into which the author falls at times and some important issues raised that are deserving of more thorough attention. If there’s an overarching shortcoming to the story, it is the author’s failure – a common and easy one for outsiders – to adequately acknowledge the breadth and depth of North Carolina’s homegrown, progressive political tradition. 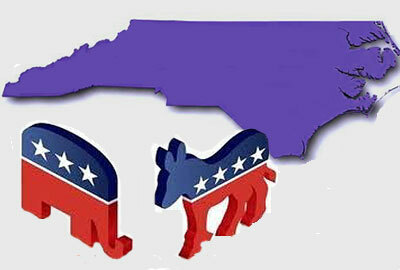 As with so many observers not familiar with the state’s history, the author makes the assumption (or is at least willing to leave the strong impression) that the chief driving force behind North Carolina’s current sharp political divide is an influx of liberal northeasterners who have acted to moderate the state’s politics. It goes on to credit new arrivals with “bolstering liberal ranks” and to tout the fact that President Obama did slightly better amongst non-natives in the 2012 presidential election while the opposite was true for Mitt Romney. The truth of the matter, however, is that while the state’s influx of new arrivals is certainly a noteworthy phenomenon, it’s far too simplistic to cast North Carolina’s modern political battle as one between conservative natives and liberal newcomers. Indeed, as those who have been paying attention to the state’s politics for the last several decades can readily attest, southern accents and progressive politics are far from mutually exclusive. Compelling examples abound. North Carolina native Rev. William Barber of the state NAACP regularly notes, for instance, that it was well over a century ago that a “fusion” movement of newly enfranchised African-Americans and progressive whites actually wielded significant power in state politics for several years. In more recent decades, several important progressive leaders — Frank Porter Graham, William Friday, Terry Sanford and Jim Hunt, just to name a few – have risen to power and prominence. Heck, North Carolina had a dynamic, impactful and homegrown African-American House Speaker in Raleigh’s Dan Blue nearly a quarter-century ago – a time during which the state’s population was just two-thirds of its present size. Just as it is wrong to gloss over North Carolina’s longstanding progressive tradition, it is also inaccurate to leave the impression that the state’s new arrivals are dominated by tofu-eating lefties. One need only walk the halls of the current General Assembly and listen to the debates to hear sharp Yankee accents well-represented – especially amongst the current GOP majority. Indeed, many of the state’s most ardent, tea partying politicians are northern transplants. Listen to legislators like Senators Bob Rucho and Bill Cook and Representatives Michael Speciale, John Szoka and Bob Steinburg if you have any doubt. Indeed, for that matter, listen to the state’s Ohio-born Governor or its Florida-born House Speaker/U.S. Senate nominee as he challenges a native-born incumbent. Another classic, hard-to-miss example of this phenomenon was the brief Wake County school board revolution of a few years back. As those who experienced that tumultuous period will vividly recall, four of the politicians spearheading the insurrection were transplants from New Jersey and Pennsylvania eager to re-create the non-unified, mostly-segregated and subdivided school system model so prevalent in the north. Much of the ultimately successful resistance effort, in contrast, was mounted by progressive, longtime North Carolinians who knew the disastrous reality of segregated schools only too well and were determined not to let them make a comeback. So what’s really going on in North Carolina? If not as a battle between native-born defenders of times past and newcomers bent on change, how might one best characterize the situation? Here’s one suggestion: What’s taking place in North Carolina right now is simply one small but important part of a longstanding, national (indeed global) contest in which geographic boundaries are increasingly less-meaningful. Though participants may compete to control states and other political jurisdictions and claim their traditions and imagery as their own, this battle is not really between specific groups of people from one place or another; it is between ideas. On one side stand the forces of unfettered capitalism and sectarianism. Though not always aligned, these forces share a suspicion of both change that would limit what they see as their prerogatives and the strong public institutions that might institute such change. On the other side stand the forces of democracy and diversity. Though they too are not always aligned, as a general matter, these forces tend to welcome change and favor intentional public solutions implemented to promote greater equality and benefit the common good. Think about it: In our ever-more-mobile, increasingly homogenized and hyper-connected society, such a battle has less and less to do with geographic location. Opponents of religious chauvinism and corporate oligarchy speak much the same language whether they live in Cairo, New York, Greensboro or Lizard Lick. The same is true for their conservative, Fox Newsified adversaries. Seen in this light, it becomes clear that the fight in North Carolina is less a battle over the state’s identity – which figures to become increasingly malleable and less distinct as time goes by – and more a microcosm of a broader debate over the future generally. Yes, it’s certainly true that North Carolina is closely divided and that elections here figure to be tightly contested – both this November and for years to come. But it’s also true that the participants are motivated less and less by their vision of the state and more and more by their beliefs about their nation and even the planet. To the author’s credit, the Times article does take note at one point of what many progressive-minded North Carolinians have seen as their state’s “exceptionalism” – the notion that it has long stood above and apart from many of its former partners in the Civil War confederacy. That the article quotes the head of the John Locke Foundation as condescendingly pooh-poohing the idea and speaking glowingly of South Carolina only lends credence to the whole concept. There clearly is a proud, progressive, forward-thinking tradition in North Carolina that deserves to be acknowledged, celebrated and, where possible, built upon. Anyone who travels to South Carolina senses this reality in about five minutes. Ultimately, however, the real challenge for this narrow sliver of southeast North America lies not in competing with its geographic neighbors, but in working to ensure that all its inhabitants (wherever they were born) have a full opportunity to enjoy the freedom, prosperity, security and hope for the future that are the hallmarks of modern human society at its best all over the world. The results of what will no doubt be several hard fought elections in the months and years to come will go a long way toward determining whether we rise to this challenge and, also, likely serve as a bellwether for the nation.